sensually intimated in fecund sounds that teeter between lightning and thunderclap. classical motifs into a beguiling and hypnotic tapestry that utters speculations on sacred identity and heritage. Other creative actions have included the OFIELD project, processing and forging environmental soundscapes for an imagined utopia/dystopia. Intrinsically embedded within the traditions of electro-acoustic composition, Agathe has collaborated within an eclectic scope of artists, including Kuro, Rhys Chatham, Carla Bozulich, Jonathan Kane, Yoko Higashi, Animal Hospital and Melt-Banana. Centre, providing an ongoing portfolio of improvised and soundtrack works. The duo have travelled and toured extensively across the U.K and Europe and have been invited to perform with the acclaimed minimalist composer Terry Riley. Their performances are often improvised and unrestricted by the usual constraints of musical reception, celebrating a queering of gender, the body and identity both visually and sonically. 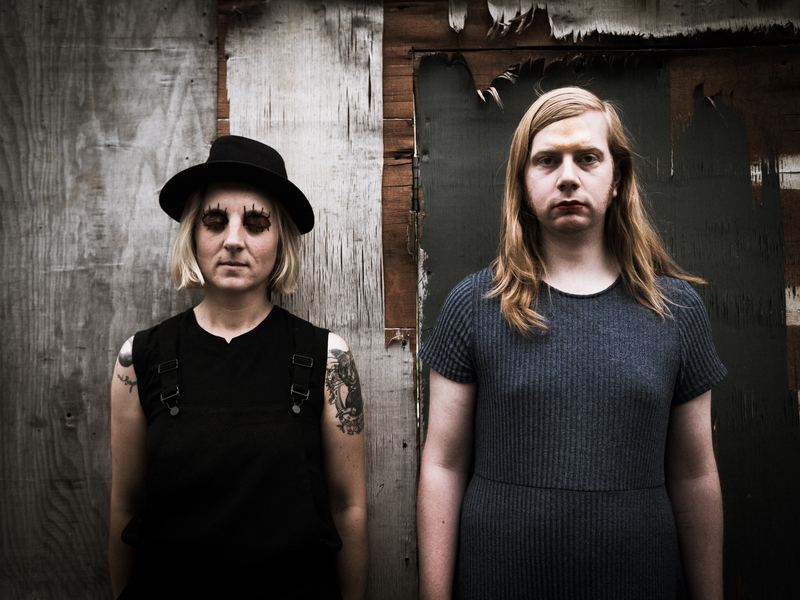 Heralded as vanguards of the a ‘New Weird Britain’ the pair are proud to launch their second L.P on God Unknown Records. You may, then, also like Heliotrope (God Unknown), the debut album by Mésange: it, too, wordlessly fashions heady, droney atmospheres that could soundtrack a film where a man walks through a monochrome desert. It’s more dynamic, that said, even legitimately rocking at a couple of points – both Mésange members are self-styled composers, but not averse to mucking in…fluid, rustic and crackling with life. Agathe Max and Luke Mawdsley’s Mésange project brought chilled-out sounds with elements of neo-classical, minimalism and drone out into the sunshine. the edge of dream and nightmare. Haunted by a portentousness and solemnity this is a spook fest for those of us who appreciate our drone […]the darkly melancholic has rarely sounded so uplifting, not to mention inspired and well-crafted. It’s all very gratifying to these ears and is hardly going to disappoint anyone with a soft spot for either of Max and Mawdsley’s day bands. Arguably it adds a bit to the palettes of both. A darkened room and with good acoustics and this will be especially powerful in a live environment.